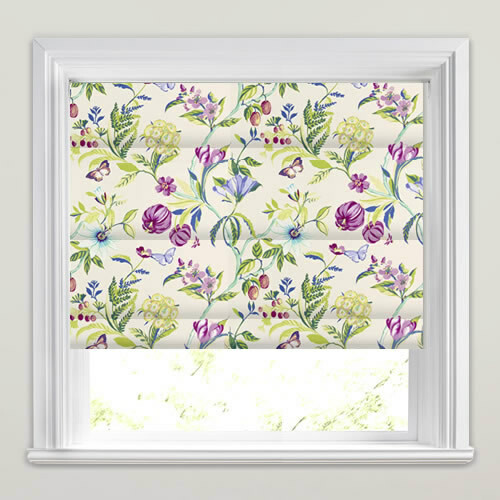 Like a fabulous tropical botanic scene these luxury flowers and butterflies patterned roman blinds are filled with rich lilac, purple, lavender, mint, green, blue and cream hues. 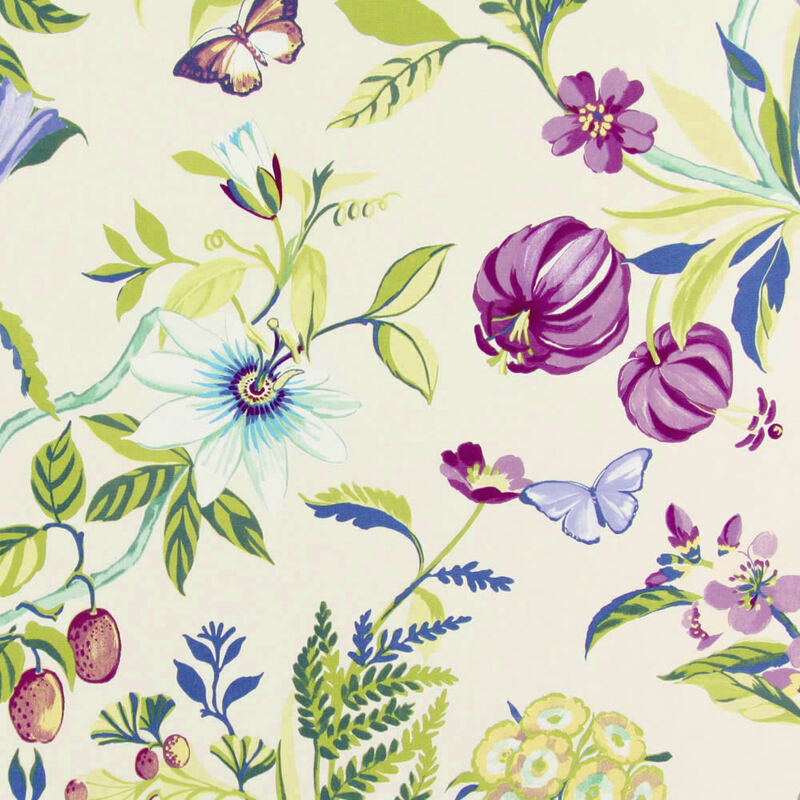 Ideal for a natural look at a kitchen, living room or sun room window. 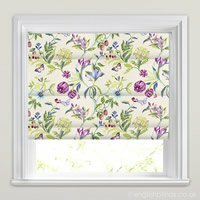 Blinds are of high quality, easy to fit and always hang straight (no curling out at the sides). Very efficient and reliable service. I use this company to order all my blinds as you don't have to cut to size. Just measure as instructed and all is good. Very pleased with service and quality of blind. Love the blinds, fast, speedy delivery, very happy with our purchase.